Over 500 nurses, about a quarter of the nursing workforce of the period, served overseas during the First World War as members of the New Zealand Army Nursing Service. Information on these women is available in the following sources. Includes brief details of service, date of termination of service or death, honours and awards. Indexed. 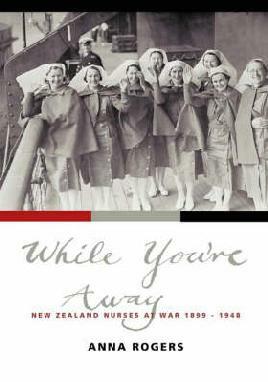 Excerpts from the New Zealand nursing journal about nursing service during the war. Indexed.Kendall, S. New Zealand military nursing: a history of the Royal New Zealand Nursing Corps. Chs. 4-9 cover World War 1. Seven New Zealand nurses trained and worked at casualty clearing stations as anaesthetists while serving overseas during the war: Blanche Huddlestone, Maud Atkinson, Margaret Davies, Susan Nicholas, Jean Porteous, Ellen Schaw and Jessie McLeod. Hilda Steele may also have trained. The experiences of New Zealand and Australian nurses on the Western front and Gallipoli. Chs. 3-10 cover the first World War. Ch. 10 looks at the repatriation of nurses after the war, and the problems many of them faced after the challenges of frontline service disappeared. The author has used many personal reminiscences, letters and diaries as sources. The troopship ship, Marquette, with a large number of nurses on board, was torpedoed and sank in the Mediterranean in 1915. Ten nurses were drowned and several others injured. 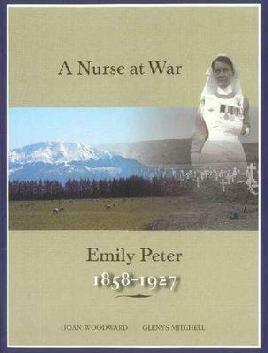 Cantabrian Emily Peter served in Serbia and in England during World War I until her health started to fail. Includes extracts from her diary and letters from some of those she nursed. 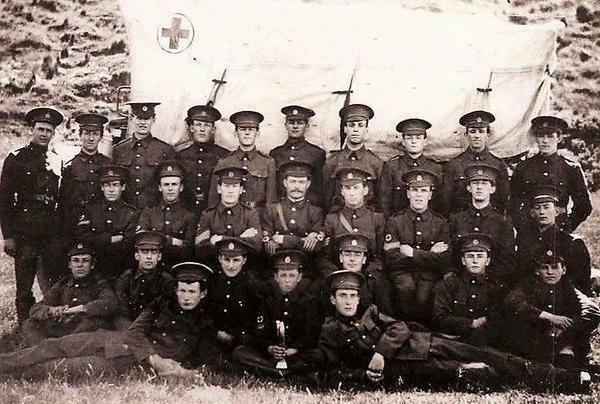 Carbery, A.D. New Zealand Medical Service in the Great War, 1914-1918 Section 1: Mobilisation; Section 2: Gallipoli; Section 3: Western Front; Section 4: Sinai and Palestine; Section 5: Demobilisation. Appendix A: casualties, honours and awards, roll of wounded; NZ Army Nursing Service strengths and casualties; specifications for hospital ships. Appendix B: casualties in NZEF, deaths by disease. Appendix C: medical arrangements, rations and dysentery in Gallipoli. Appendix D: medical officers’ training school syllabus and examinations. Liverpool, A.W. The New Zealand hospital ship "Maheno’: the first voyage, July 1915 to January 1916 & The voyages of His Majesty’s New Zealand hospital ships “Marama” and “Maheno” 2v. Illustrated descriptions of the voyages. Includes lists of naval, medical corps and nursing personnel, and lists of the wounded who were treated on board. Author served on the Western Front. Postal history. Postcards, postmarks and other postal markings for correspondence to and from hospital ships. Includes details about the work of the ships, pp. 30-47. World War 1: pp. 15-81. Includes extracts from war diaries of James McKenzie and citation for his Military Medal. Ettie Rout worked in Egypt, England and France, helping New Zealand soldiers avoid venereal disease. Chs. 7-11 cover war years. Chapters 5-9: World War 1. Includes chapters on Egypt and Gallipoli; France and England; hospitals; at home and hospital ships. Information from New Zealand History Online. The medical experience of Passchendaele. Links to all mentions of the New Zealand Army Nursing Service in the New Zealand Electronic Text Collection. Information on the chapel which was inspired in part by the sinking of the Marquette.